Drop jaws in this one of a kind dress style MQ3026 by Mary's. 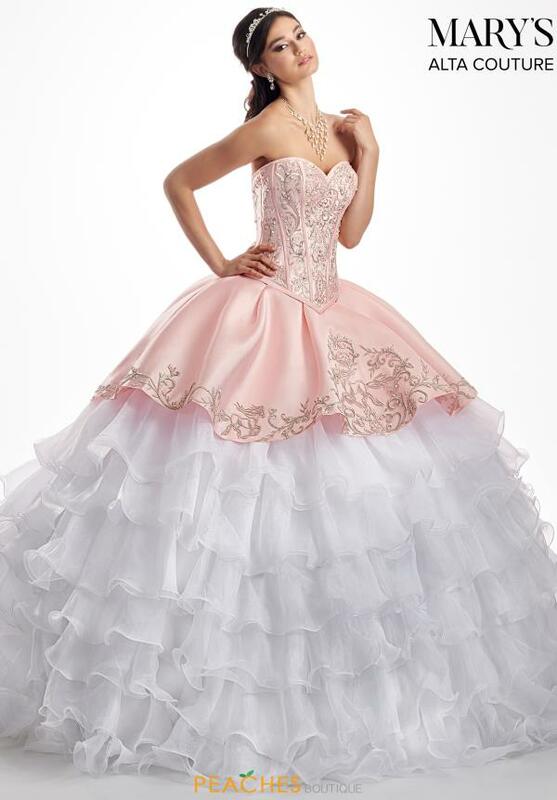 This charming dress features a lovely strapless sweet heart neckline and fitted bodice that is adorned with lace applique. Leading into the back is a lace up closure that will ensure comfort all night long. This lavish dress showcases a ruffled tiered skirt that will leave all eyes on you. To top off this magnificent ensemble is a slight train that will flow beautifully behind you. 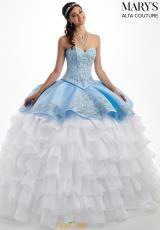 Find more quince dresses at Peaches Boutique in Chicago.